Available in a larger size. Embroidery of Hebrew or English name can be added. Please list name below in Entry Box. The Carmel hand woven tallis set, made in Israel, is exclusively created and attractively designed to suit one's desirable taste. Made from 92% wool and 8% acrylic, to accommodate fine, high quality and durability. Comes with Talit, yarmulke and bag. 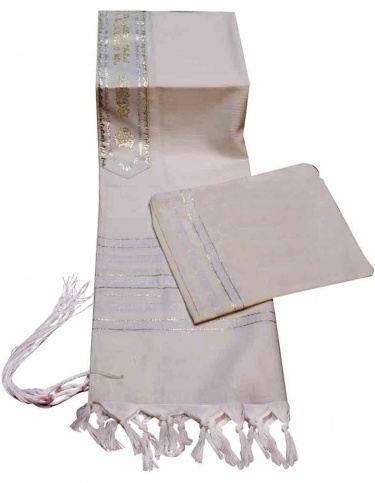 This tallit features a beautiful herringbone weave and won't slip off your shoulders. Measures 36" x 72". Also available in 55" x 72". If embroidery of Hebrew or English name is desired it can be added for $15. Please write name in the text box at checkout.